Etretat France is situated on the coast of Normandy, 20 kilometers north of Le Havre. Renowned for its coastal scenery and stunning white cliffs, familiar around the globe. The rock formations have been given names, including: Courtine, Manneporte, Vaudieu Rock and the Aiguille de Belval. Some people believe to see an elephant dipping its trunk into the waves while others claim that a ship with all of its sails unfurled could pass through the Manneporte arch. The stories and myths that surround these formations are endless. The town of Etretrat France itself is also extremely charming. Walk through the picturesque old town to see the restored market hall that is a replica of its medieval counterpart. Enjoy shopping in one of the city’s cute boutique stores. Both the cliffs and town of Etretrat France are highlights of the region and not to be missed while you visit Normandy. 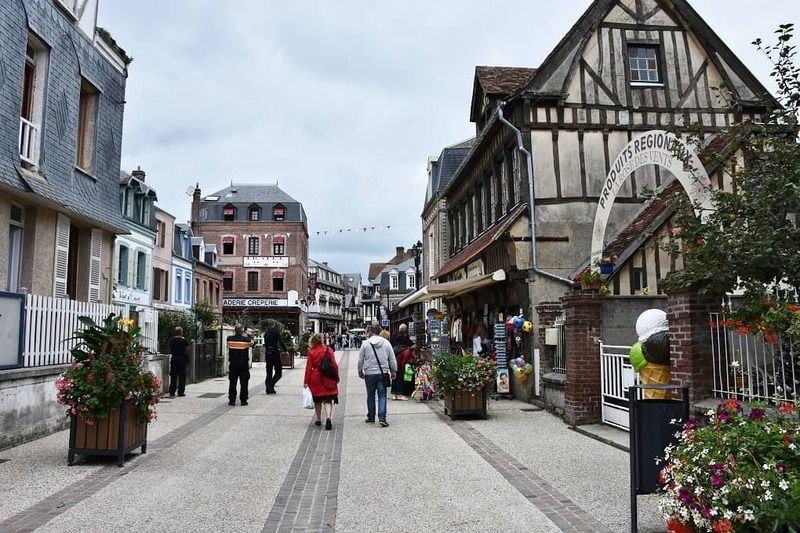 We’ve gathered together our best activities in Normandy, restaurants, hotels and must-sees for when you’re in the area! The cliffs of Etretat France are a stunning sight all year round. However, if you want to fully enjoy the surrounding nature or do some kayaking or other water sports, plan on visiting in the summer or (very) early fall. It can get quite cold and rainy in the winter. 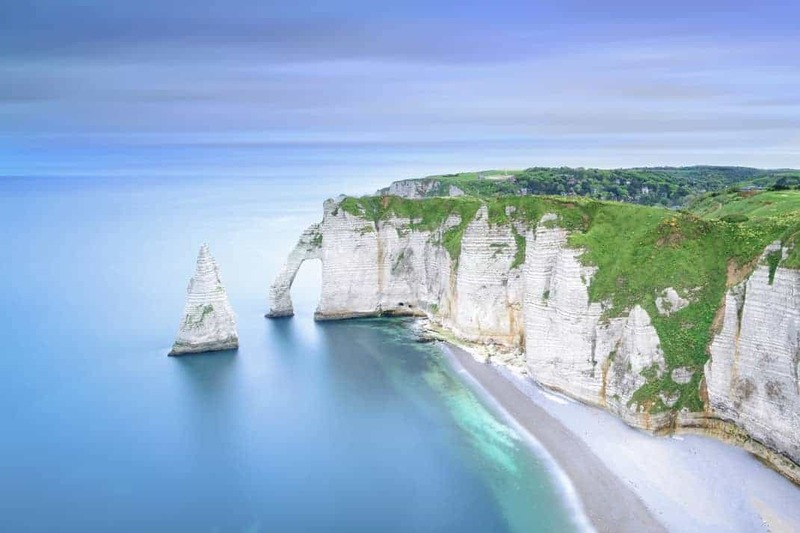 We suggest spending a full day, and perhaps the night, in Etretat France. 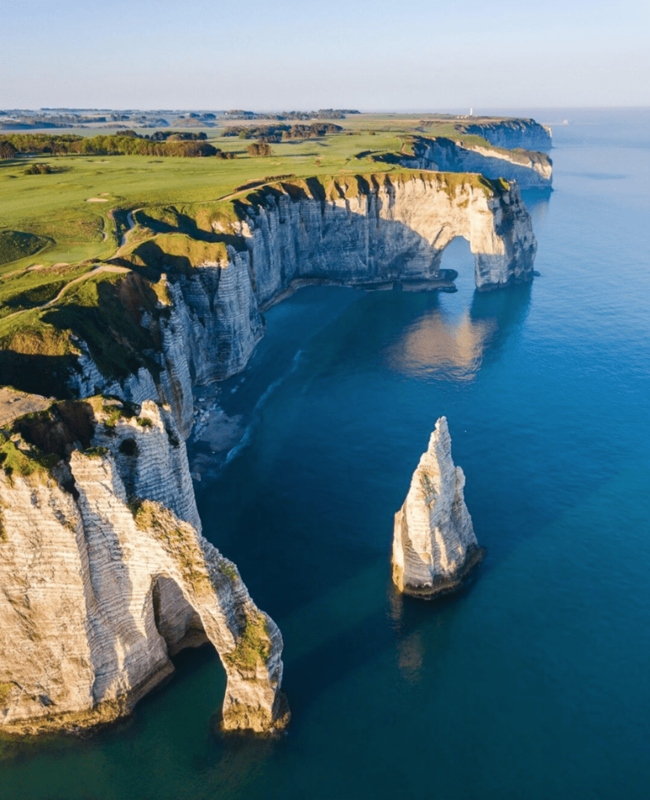 This will give you enough time to enjoy the cliffs and splendid Etretat gardens. Then, you’ll still have the time to explore the town itself. If you’re on a tight schedule, you can try and fit everything into a whirlwind half-day but you may have to pick and choose what to visit. Etretat France is a relaxed town on the sea, there is no need to dress up, unless you are planning on a fancy dinner. We recommend simply dressing for the season. It can get windy on the coast and especially near the cliffs, so make sure to bring a jacket. 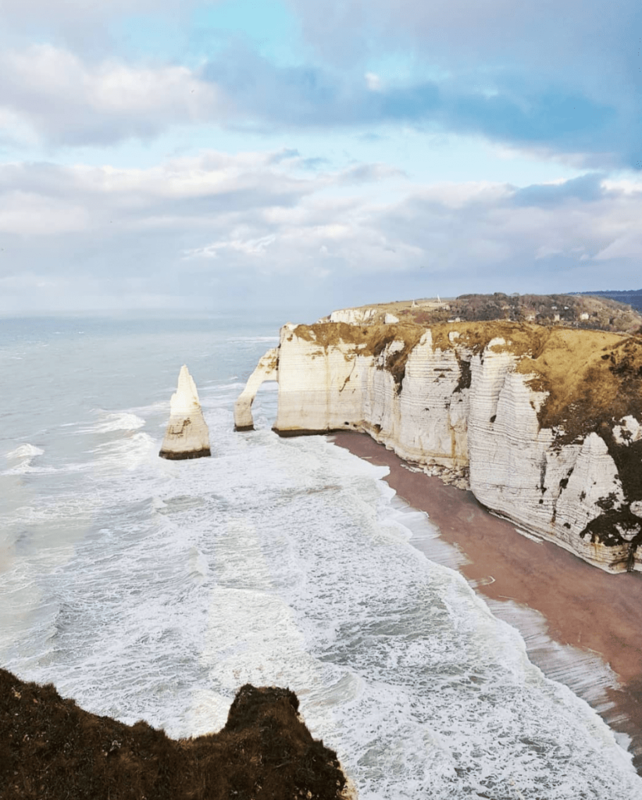 The Etretat cliffs are definitely our number one must-see. The best way to see them is to follow the clifftop path from the town. The path is part of the GR21 footpath so you can continue walking as far as you like. The naturally dramatic cliff lines are a truly stunning view. Stick around during sunset for an even more breathtakingly beautiful panoramic scene. You also must not miss the ‘manneporte’ which is a natural arch rock. The cliffs are a definitely a highlight of any visit to Etretat France. The old market hall on Place Foch is not to be missed during your time in Etretrat France. Located in the town center, the hall is a reproduction of the original medieval wooden structure where merchants would sell their wares as well as fruits and vegetables. The Alice in Wonderland-like Etretat gardens in Etretat France are also on our list of must-sees. The fantasy-inspired creations are located above the town and also provide a lovely view of the cliffs. The first tree was planted there in 1903 and the garden has only grown larger and more whimsical since. 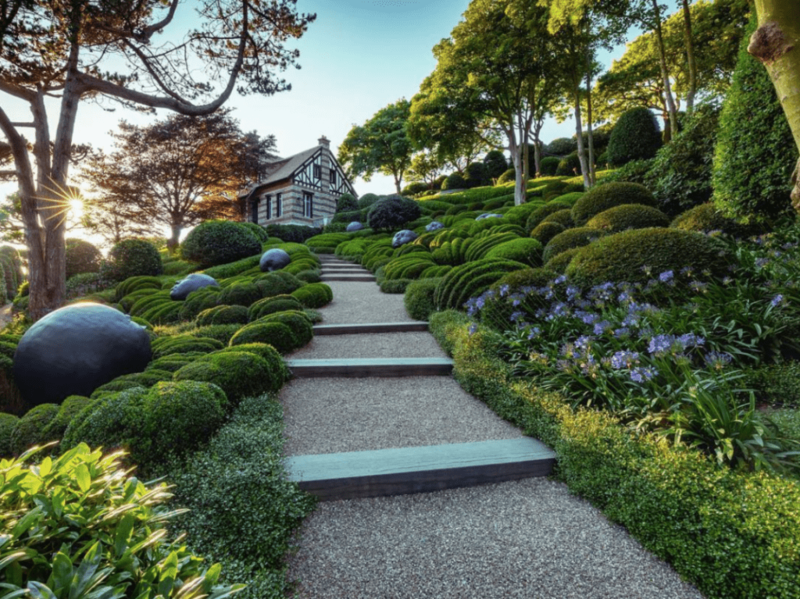 Don’t miss the gardens while visiting Etretat France.